Have you noticed that every store, restaurant, and coffee shop is featuring pumpkin spice something right now? Do you remember when pumpkin was a novelty flavor? When a pumpkin spice latte… I mean “PSL”… at Starbucks was a true treat and hard to find elsewhere? I bought pumpkin tortilla chips at Market District yesterday. Last weekend, Trader Joe’s intrigued me into buying their pumpkin body butter (not a fan… you will smell like a candle). Hell, even my local gas station currently features a pumpkin spice cappuccino. I’m sorry, my dear trendy friends, but pumpkin is now mainstream. Do you shudder at the thought? Let’s find something new to obsess over- shall we? Sure, I sound bitter and you are probably wondering what a pumpkin ever did to me. My intention isn’t to shame pumpkins back to the patch (I’m so corny)… I just think that we need to embrace the other flavors of fall. I’ve spent so many years walking right by that beautiful display of autumn squash at the market questioning what the heck you would do with one of those things anyway. Aren’t they just for porch decorations? Sure they look a little funny and its difficult to know the difference when they are all lumped together on a display shelf (check out this fun guide I found! )- but they are incredibly versatile and delicious when given the proper attention. Squash is in. Here’s how to use one. Just a note: I wanted to make butternut squash raviolis. I only had an acorn squash so I went with it! Butternut squash are sweeter (more similar to a pumpkin)- the acorn squash made for a more savory end result. Acorn squash also have a more stringy flesh than a butternut squash- I used my immersion blender to puree the filling. These turned out delightful. Preheat your oven to 400 degrees. 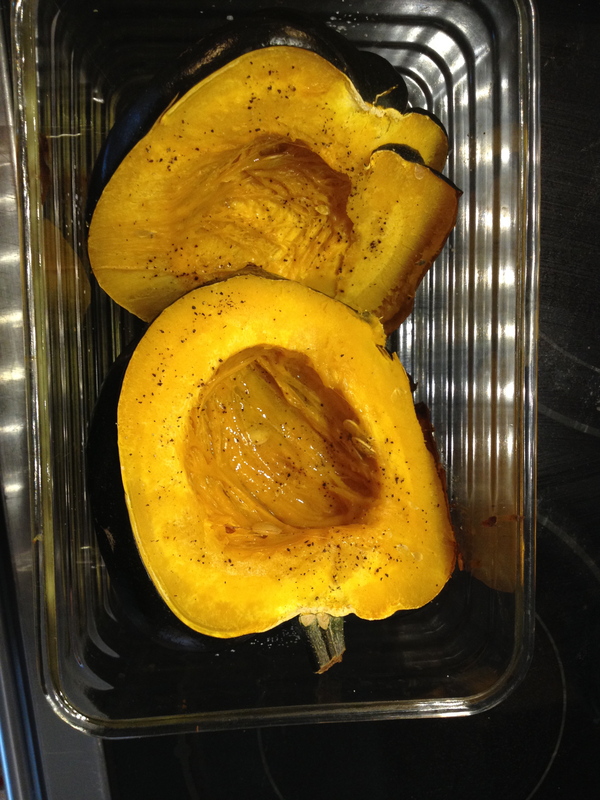 Squash are ridiculously hard to cut in half- i recommend popping it into the oven for at least 20 minutes to soften up. Carefully take it out and (using oven mitts!) and cut in half. Scoop the seeds out and put some holes in the flesh with a fork. Place in a baking dish and drizzle with olive oil. Roast in the 400 degree oven until soft- this will probably take another 20-30 minutes. Take it out and let it cool a little bit. Scoop the flesh into a bowl. Add the cheese, nutmeg, balsamic vinegar, salt, and pepper to the bowl of roasted squash. I used my immersion blender to puree the ingredients until nice and smooth. 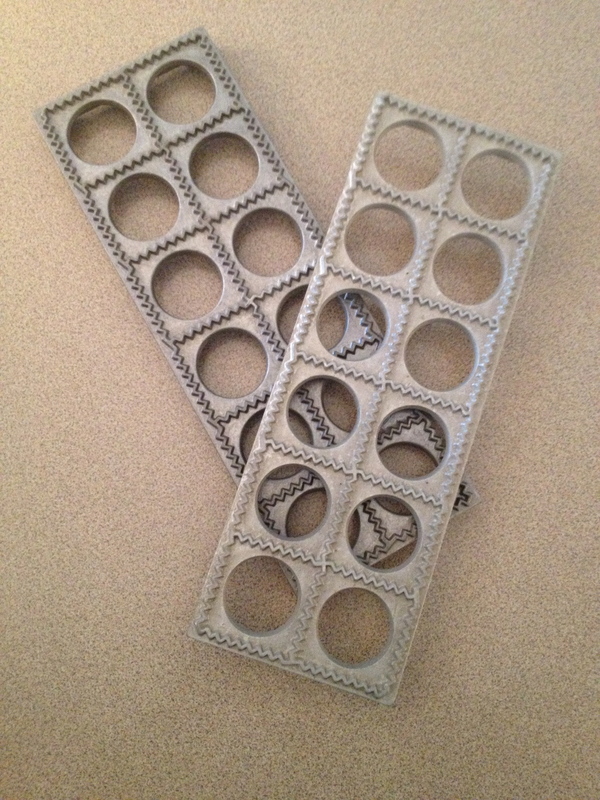 You could easily accomplish this task in your stand mixer or blender if desired. It will resemble baby food. This is okay. Let it chill in the fridge while you are working on the pasta. Forget how to make your own pasta dough? Click here for a reminder! 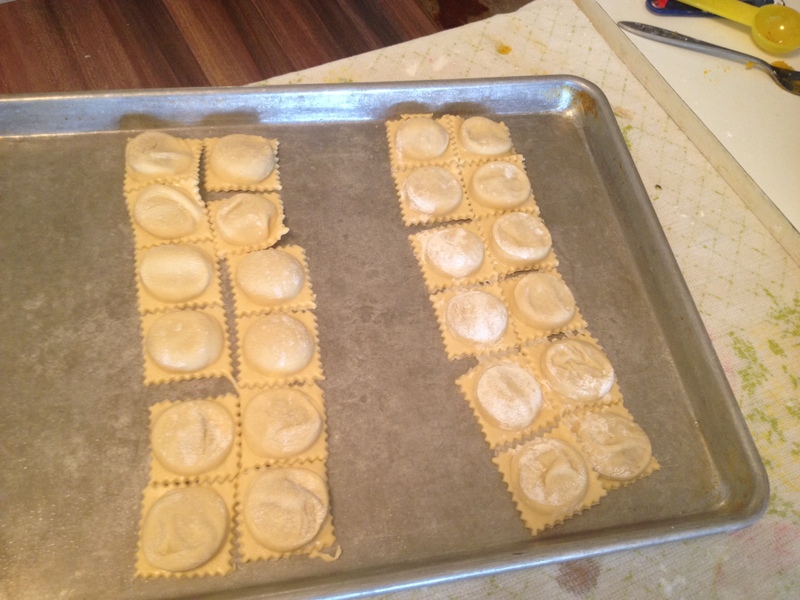 You will want to roll sheets of pasta to the number “3” thickness setting. Lay it onto your work surface and cut it to fit your ravioli form. Be sure to spray your form with cooking spray so that the raviolis do not stick! 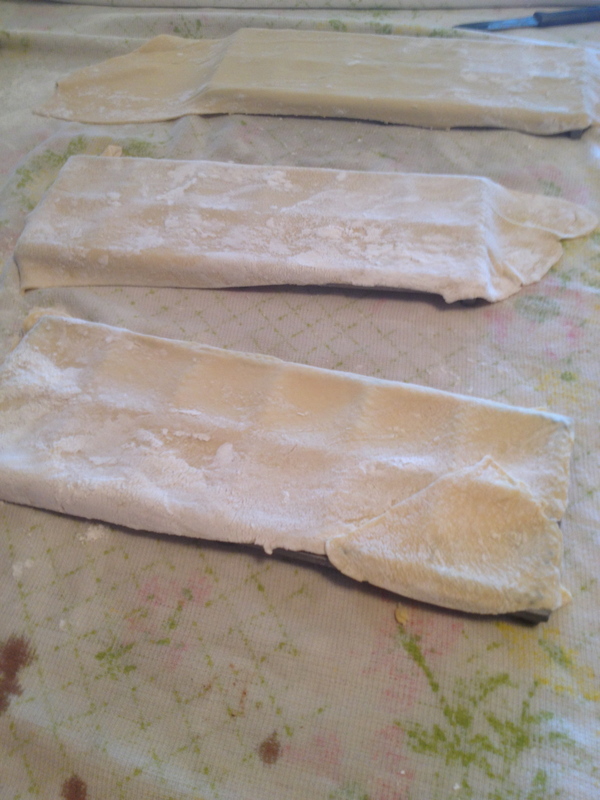 Lay the sheet of pasta dough down onto the form and press lightly around the edges to seal it. Take your chilled filling out and scoop a heaping teaspoon into each spot. 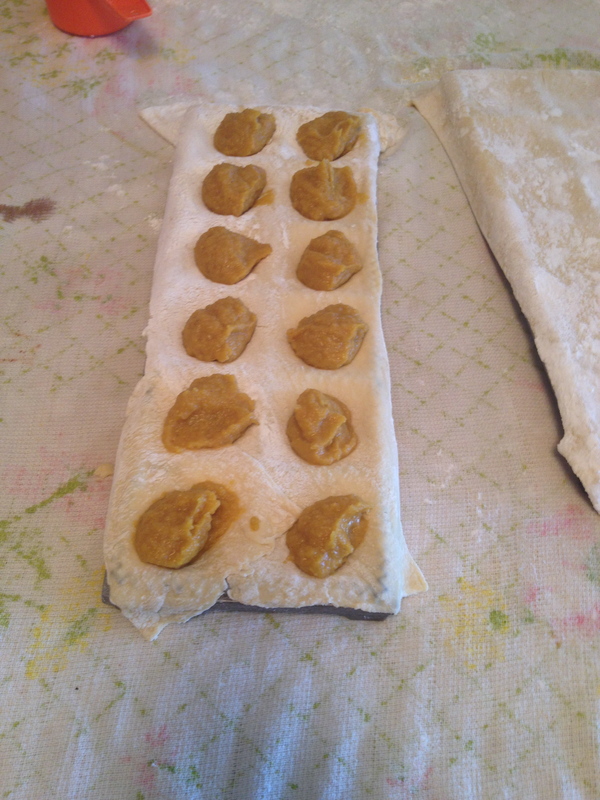 Lay a second sheet of pasta dough on top of the form and seal together using a rolling pin. Tear away the excess dough and flip the form onto a baking sheet. Gently help the raviolis out of the form. Place the baking sheet into the fridge or freezer until ready to cook. You can use whatever sauce you like for these. I made a super simple sage butter sauce that is absolutely divine. Melt two tablespoons of butter in a large saute pan. Add garlic to your liking (I added three minced garlic cloves) and saute until fragrant. Garlic burns quickly so keep the heat to low/ medium-low.Add 4-5 more tablespoons of butter. Ugh, just add the whole stick of butter in and be done with it. Once melted, add 15-20 fresh sage leaves and saute for 3-4 minutes. Remove the sage leaves and chop before adding back into the butter. Turn heat down to low and keep it simmering while the raviolis cook. Bring a pot of water to boil (Do this while preparing the sauce). Add the chilled raviolis to the water and watch for them to float up to the top before removing. I recommend leaving them in for at least 2-3 minutes to ensure that the dough has cooked through. Drain off with a slotted spoon and add to the sage butter sauce in the saute pan. 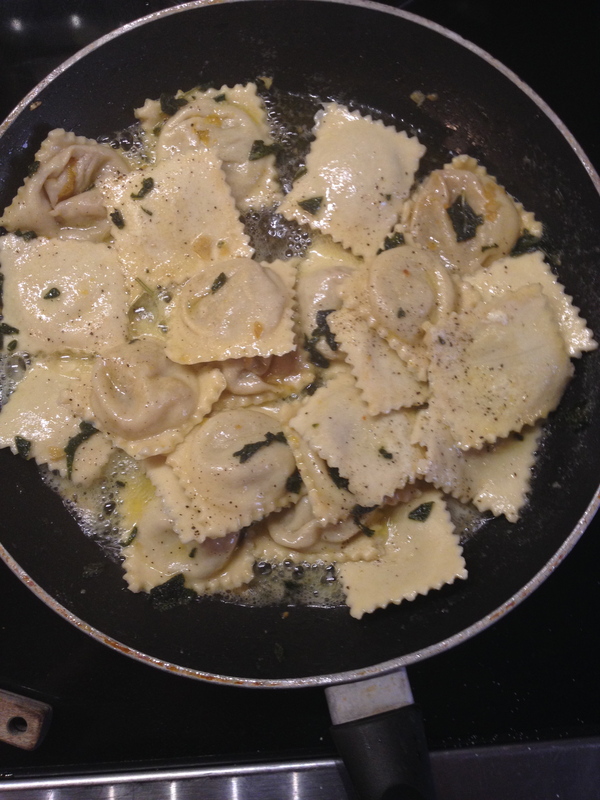 Saute the raviolis in the sage butter sauce and finish with extra Parmigiano-Reggiano. Serve immediately. Mangia! These are perfect for your next Sunday dinner. You’ve conquered pumpkin… you trendsetter, you. 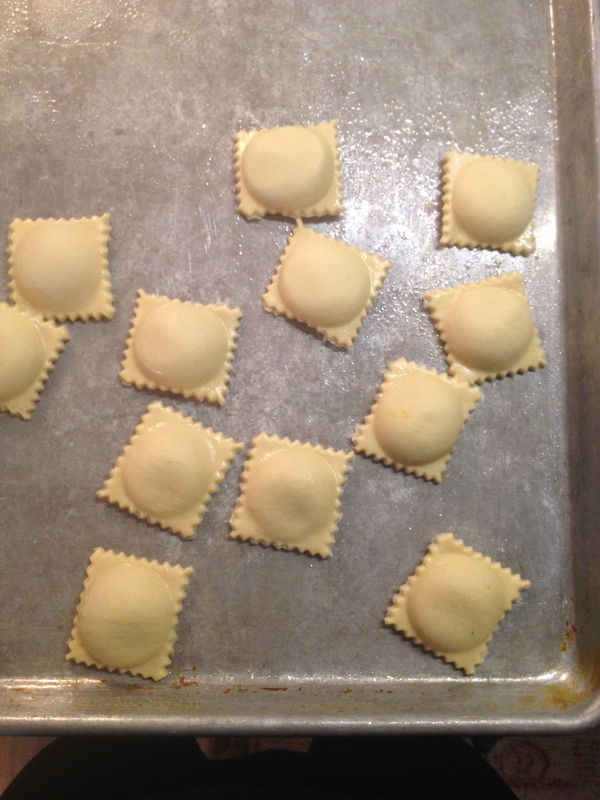 Craving these raviolis (or a seasonal flavor of choice- even pumpkin!) but you don’t want to do the work? I’d be happy to help! Contact me using the form below. ← Why do we color eggs for Easter? I can attest to the fact that these are very good!! Wonderful post, Babe Love it!